Hello there. 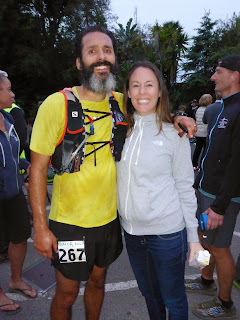 I'm still super happy about having achieved my running goal for the year by qualifying for the Western States 100 Mile with a 14:56 Miwok 100k. After having run four 50k's, one 50 Mile, and one 100k race between February 7 and May 2 of 2015, I decided to make a change of pace for myself and instead of focusing on some fairly long distance running, I'm going to focus on some relatively short stuff for the next couple of months (well that's the plan anyway). Good news! My friend Diane is putting on an 8 event, weekly 5k race series... I'm in! Bad news! 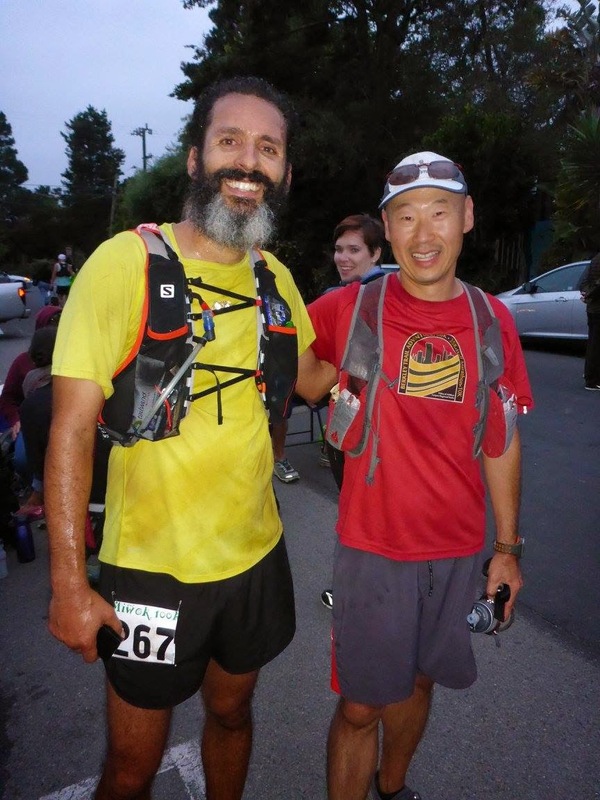 The first race was 5 days after the Miwok 100k... I'm in! 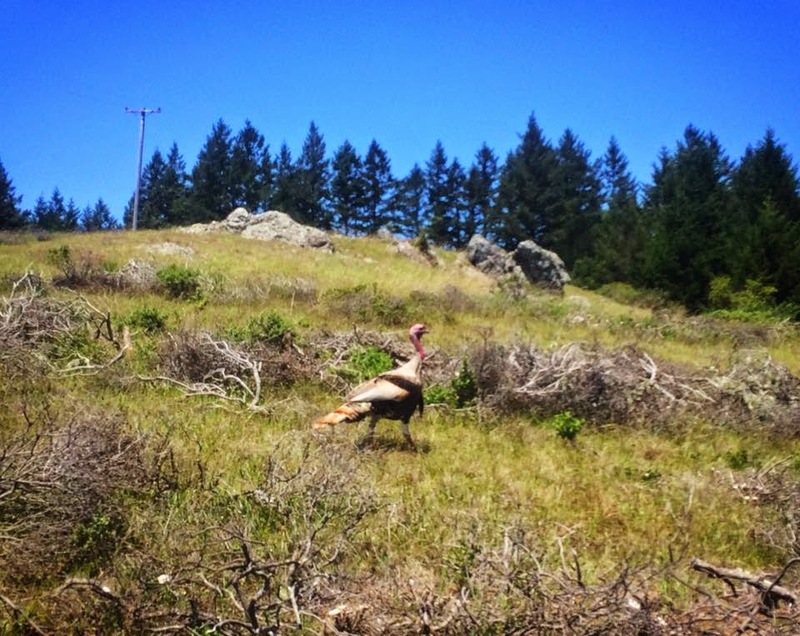 Folsom Prison Trail Run Series: A relentlessly rolling, twisty 5k trail course with ~300 ft. of climbing, consisting of rocky single-track trail and bumpy dirt service roads, winding through the scenic hills on Folsom Prison property. Runs each Thursday night. Here's how it's going so far. Race #1: I had done some hiking, but no running since the Miwok 100k. My legs were feeling well enough, but I could definitely feel a heavy fatigue in them when climbing stairs or flexing (rawr). I didn't expect this 5k run to feel very comfortable. It didn't. Race 1 was loaded with a bunch of speedsters from the Buffalo Chips running club. I "charged" out in the front ~3rd of the pack, behind a handful of invincible 10-17 year old runners and other familiar faces. After about a half mile, I was officially in ready-to-be-done-running mode. 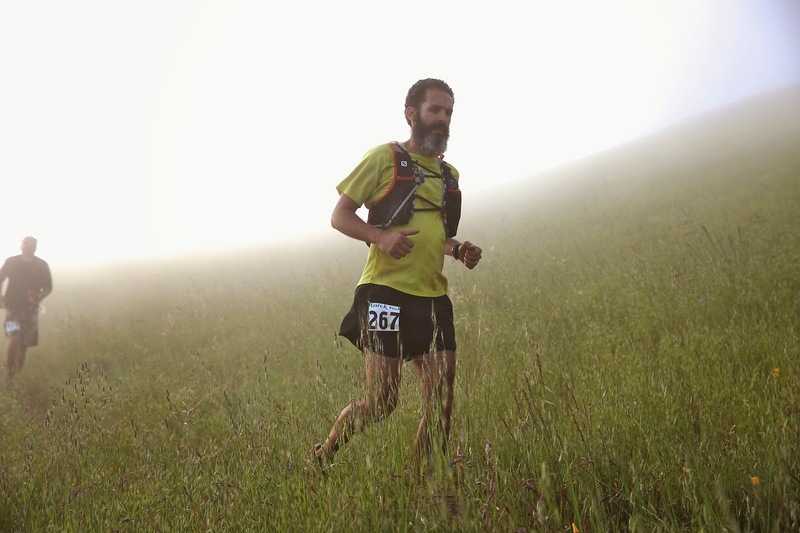 The course is a real challenge and doesn't opportunities to relax. 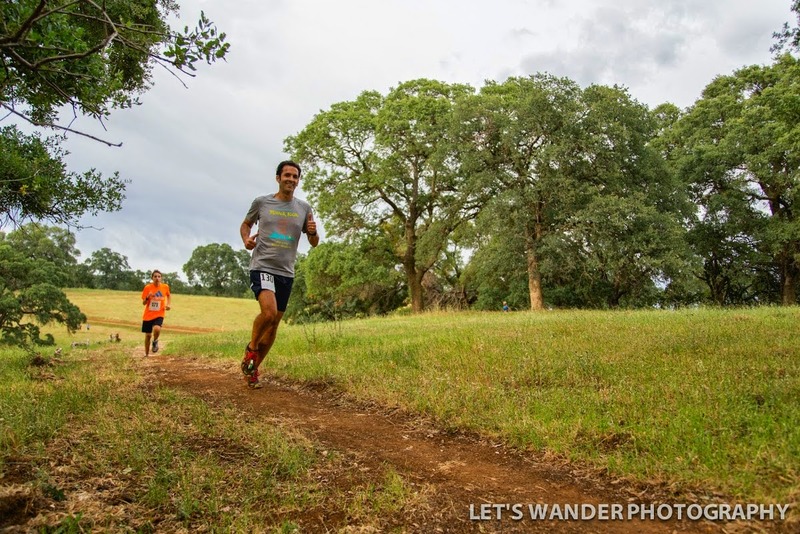 Short, steep climbs, tight turns, low hanging branches, technical, rocky terrain, dry creek bed crossings, all work together to keep your heart rate in action throughout the race. I gave a pretty strong effort throughout the course and didn't pay much attention to passing other runners, or being passed. I whimpered into the finish chute and was glad to be done. Pretending I didn't run a 100k 5 days ago. Race #2: Race 2 was cancelled and rescheduled due to a surprise thunder/hail storm. I was happy to take the day off. 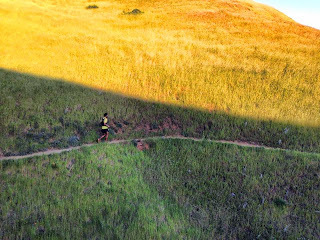 With Miwok close to three weeks behind me and one race and a couple of speed/track workouts under my belt, I was feeling more primed to run. We ran the same loop course in the reverse direction this week. From the start I was feeling much stronger and appreciated the extra strength I could feel in my legs. 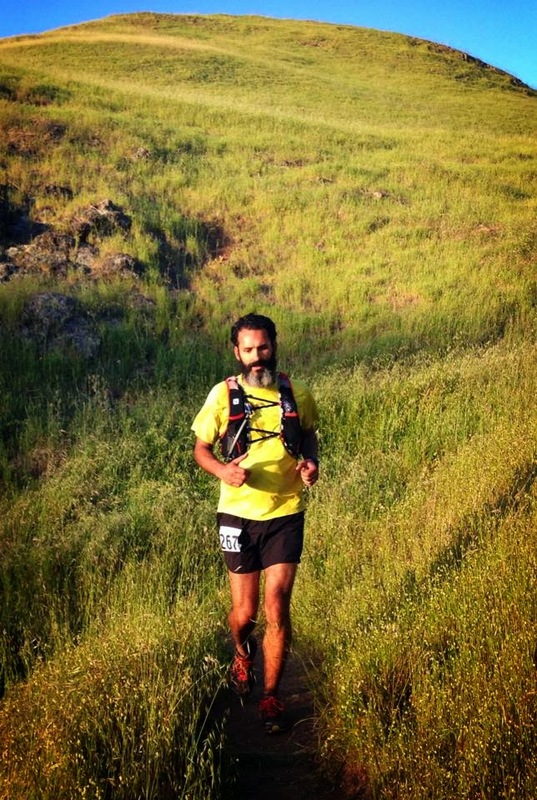 Regardless, the course didn't get any easier, and running hard feels hard no matter how fast or slow you're going. I passed a few runners along the way and held my position over the last third of the race. Fun way to spend an evening, staying fit outside with friends! Superstar Randy and I getting ready for the pain. Trotting up a hill in the first mile. Feeling an appropriate amount of discomfort, with < .5 miles to go. 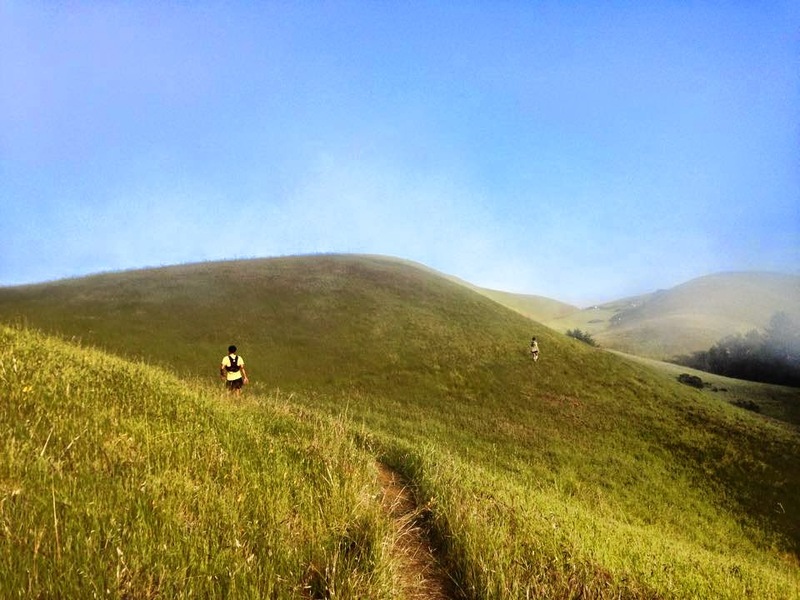 Miwok 100k - Do not be afraid. Another year, the same goal. As has been the case for the past four years, I began this year with a familiar, and lofty goal: qualify for the Western States 100 Mile Endurance Run. Running a sub-15 hr 30 min 100k at Miwok on May 2 would do just that... and race day was here. Miwok is one of the first ultras I'd ever heard of (~8-10 years ago) and it was immediately put on my bucket list. Specifically, my training for this race began in January and largely relied upon other ultramarathon races as buildup, those being: Jed Smith 50k on Feb. 7, FOURmidable 50k on Feb 21, Way Too Cool 50k on March 7, and Lake Sonoma 50 Mile on April 11. My weekly mileage wasn't as high as I'd have liked this year (average of ~40 miles/week), but I certainly did not skimp on my long runs and while I was nervous about some of the fairly aggressive cut-off times along the course (specifically the 13:30 cut-off at mile 56), I felt up to the challenge and did not envision a scenario in which I would fail. My parents, wife, Lucy, and I rented a house in Stinson Beach about a mile from the start/finish line. I went to bed at 9 pm, woke up at 3:45 am, gathered up my beard and was dropped off at the start at 4:15 am. I quickly bumped into my local area friends and patiently awaited the 5:00 am start. The field of runners spread out after the first couple of miles and I was able to settle into my "all day" pace. 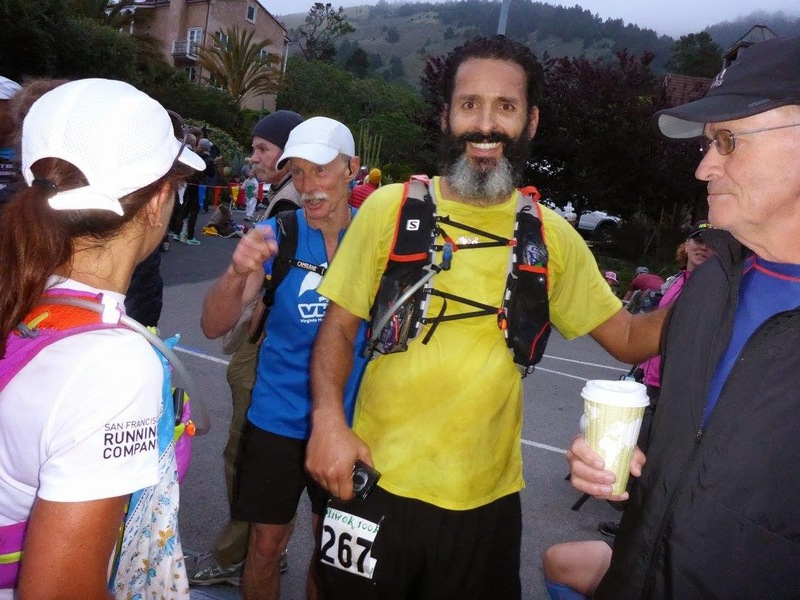 Relying on a mixture of water and Tailwind in my pack, I didn't stop at the first two aid stations (Cardiac I @ mile 2.8 and Muir Beach I @ mile 8.0). 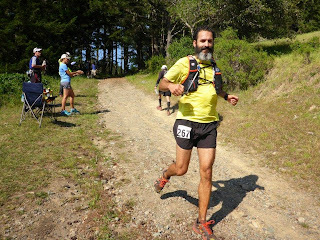 I chatted with friends, enjoyed the views, and bid farewell to the first two major climbs of the course before arriving at Tennessee Valley I, mile 13.8. At TV1, I ate half a banana and kept moving. 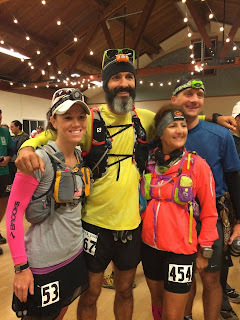 On my way out of the aid station, I overheard my friend Annie getting some solid advice from her dad, John. As she left the aid station he said to her "Do not be afraid.". That simple advice stuck with me the rest of the day, for I had much to fear and fear in most scenarios is a wasted emotion. From that point on, when doubt, worry, or fear encroached upon my thoughts, I thought to myself "Do not be afraid, Paul.". It helped me to relax and trudge onward, with determination rather than fear. Nearing Bridge View aid station, mile ~18. During the third major climb of the day, during miles 20-22, exhaustion (along with a desire to panic) was setting in for the first time. 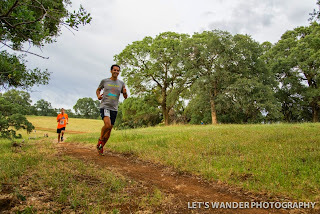 I recalled how terribly I felt a similar stage of the Cuyamaca 100k and reminded myself to take it easy and that this difficult stretch would pass. It did. I recovered from my little dreary stretch during the long downhill section heading into TV2, mile 26.0. This is the first place I would see my wife and parents and I was happy to see them. I said my hellos, tossed back two chocolate Svelte protein shakes (~400 calories), joked about how I only had ~40 miles to go (and that if I hurried, I'd only be running for another 9 hours), and continued on. Shortly after leaving TV2, I realized I had made a big mistake. I had forgotten my pre-measured packets of tailwind and it was about time for me to refill my pack with a fresh mix. Fortunately I learned that the aid stations were serving Tailwind, and I would not pay for this mistake. Having run for many hours, I marched on, knowing I had many more hours to run. 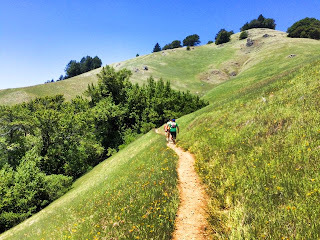 Back to Muir Beach, up the relentless ~1800 ft. climb back up to to the Cardiac aid station (I owe a big thanks to a volunteer at cardiac who checked how much fluid I was carrying and encouraged me to fill up after I had initially said I had enough... I needed it), through Pan Toll, and on to Bolinas Ridge. 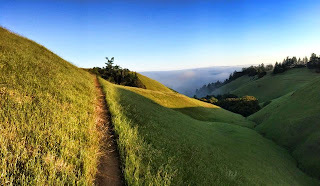 Running along Bolinas Ridge yielded beautiful views of Stinson Beach, where I longed to be, but would not return to until I had run another 25+ miles. To a runner on the trail ahead of me, I yelled "I want to go down there.". In reply he whimpered "Me too.". For miles and miles, I kept on. This turkey near the Cardiac II AS was huge! Old car aside the Coastal Trail. 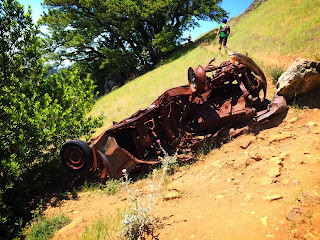 I considered trying to repair and drive it back to Stinson. Coastal Trail along Bolinas Ridge, above Stinson Beach and the marine layer. 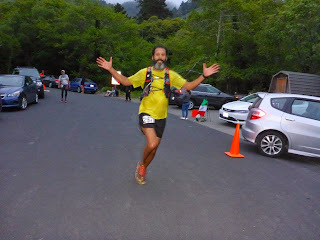 After what had already been quite a long day of running, I arrived at the Bolinas Ridge aid station for the first time. A strict 13 hr 30 min cutoff would be enforced upon returning to this aid station after a ~13.5 mile trip out to the Randall Trailhead and back. 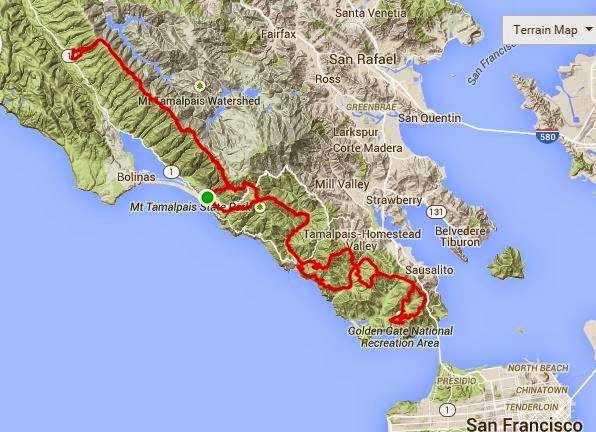 I had about 3.5 hours to cover the 13.5 miles (and ~2,000 ft. of climbing) in order to make the cut-off. I drank some soda and pressed on. 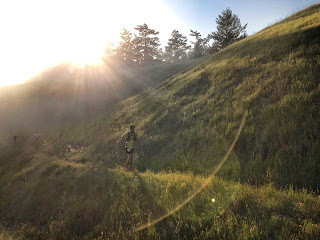 My desire to get in and out of the Randall aid station (and meeting up with my family and pacer, Jerry) grew stronger by the moment and I started to pick up the pace. During the main 2-3 mile descent into the aid station, I really started pushing, hitting some stretches at sub 7-8 minute mile pace. My effort drew some cheers from fellow runners and spectators, one guy exclaimed "wow, man you are CRUSHING it right now". I charged down the hill, yearning to reach the turn around point and get back to Bolinas Ridge before the cutoff. The aid station finally came into view. I saw my dad first, who told me I was ahead of schedule, then found my mom, Candace, and my pacer Jerry. I also had the great pleasure of seeing my buddy Chris Jones, who always provides great energy and takes awesome pics. I pounded two more chocolate Svelte protein drinks and Jerry and I embarked upon the long climb back up to the ridge. Heading out of Randall, happy to have the company of Jerry! Photo: Chris Jones. 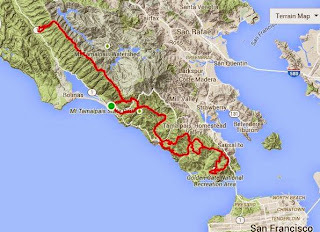 For a few miles, I kept doing the math in my head, coming up with the required min/mile pace needed to not get cut at Bolinas II. I was pretty safe from the cut-off, but it was close enough to keep thinking about it. I found the urge to move as slowly as possible while not getting cut to be very strong. A few miles out from Bolinas, Jerry, another runner and I decided it was time to treat Bolinas as the finish line, since if we made it there ahead of the cut-off, we were essentially guaranteed to finish the race. 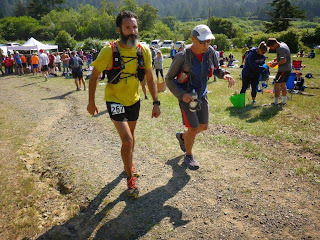 We put forth a solid effort and suddenly, the biggest challenge to my race, my goal for the year, my Miwok finish and 4th consecutive Western States 100 qualifier... was behind me. We strolled into Bolinas II about 20 minutes ahead of the cut-off. It was a huge relief. I was feeling as, if not more, mentally exhausted as I was physically. To this point, I had averaged ~14 minute miles and needed only to average ~21 minute miles over the remaining 6-7 miles in order to finish the race and qualify for States. 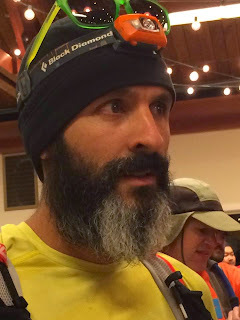 I told Jerry that I wanted to walk for a mile or two and that I had been strong on the downhills all day so after a couple of miles of walking, I would likely bounce back strong and be able to make a good push to the finish. 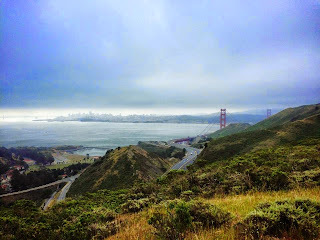 So, we took it easy and enjoyed the views for the next couple of miles, jogging occasionally, but mostly walking. Coastal Trail, heading towards the finish at Stinson Beach. 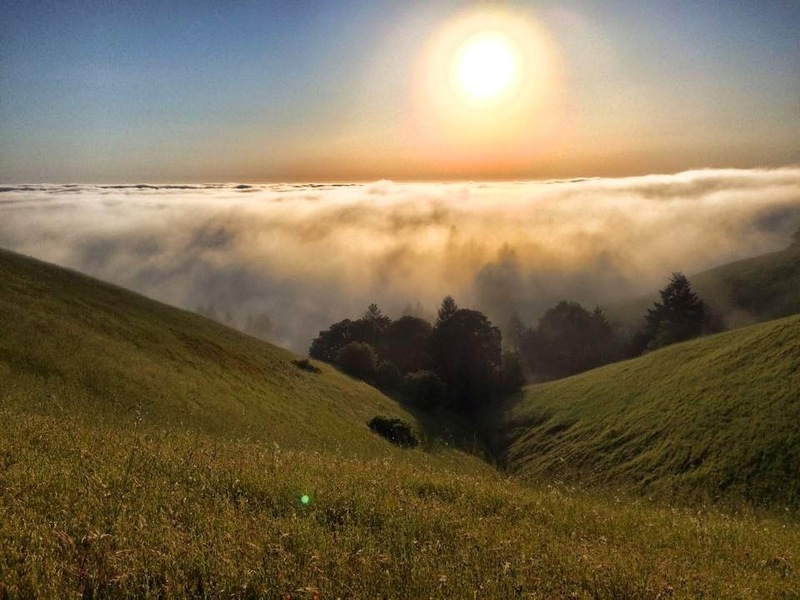 As the sun began to set and the fog began to roll in, Jerry said "you know, you still have a shot at a sub 15". I looked at my watch and confirmed. 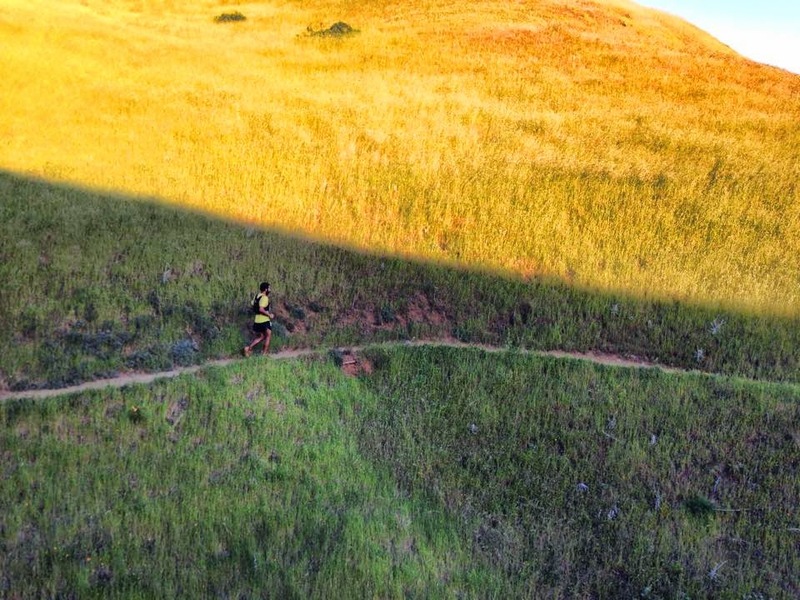 Four sub-14 minute miles (faster than it sounds on this terrain, with 57 miles on your legs), would get me in under 15 hours. I gave a half laugh, half groan and said "well, let's do it then". 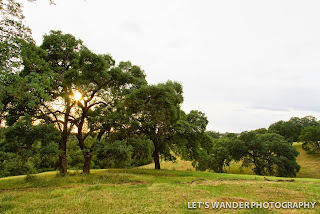 I picked up the pace, hiking hard on the ups and running increasingly faster on the downhills. We finally reached the turn off to the Matt Davies trail, which seemed like it would never arrive. This marked (what we thought was) a 1,700 ft descent and 2 miles to go to the finish. My legs were feeling fantastic and I really started letting loose on the steep, technical downhills. I remember focusing on the feelings in my feet, legs, and joints and was feeling 0 pain. My body and mind were tired, but my legs were inexplicably fresh. Jerry was pumped up for me and was probably happy to be doing some real running. We clocked a 9 min and an 8:30 mile on the steep technical downhill. Suddenly, we reached the mileage at which we though the race would be over, but it was not. The sun was setting, fog had rolled in, and the dense foliage was making it difficult to see the rocks, roots, and steps on the trail. Jerry said, "the mileage is off man, just keep pushing". I did just that. 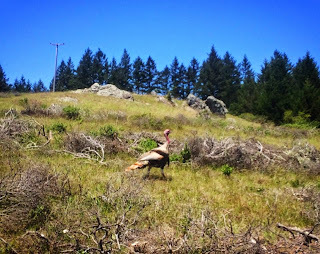 I ran hard, gasping and grunting, forcing my way along the trail. We had past ~20 runners in the last 3-4 miles. I followed the trail around a sharp corner and found myself spewed out of the woods and onto the pavement. Crowds of people were cheering and hollering. I saw family and friends, I kept charging down the road and I saw the finish line. 14 hours, 56 minutes. I gave Tia a hug and accepted my award. I was done. Nothing to fear.